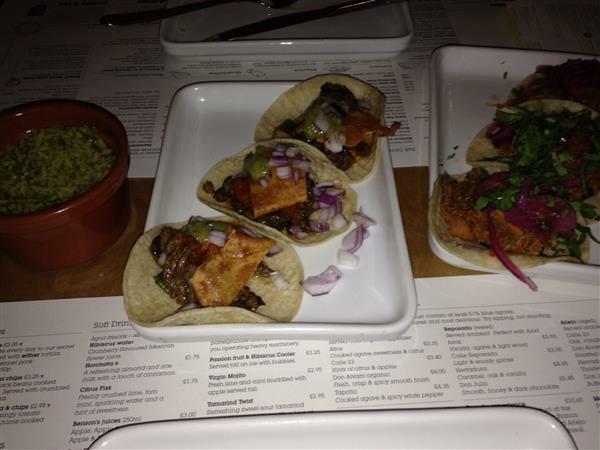 After we watched the film, we went to Wahaca. Wahaca is a Mexican chain created by Thomasina Myers (who won Masterchef quite a few years ago). It is a Mexican Tapas restaurant, where you order 2-3 dishes per person and a side or two. The food was nice and different to a normal Mexican restaurant. The dishes felt fresh and tasted nice, even if there was a little too much coriander and cheese for my taste. The food was nice but the experience itself felt very rushed and I wouldn’t go there for an evening meal again. The food was pretty cheap too. I’m happy I went – I’d go again but for lunch times only. 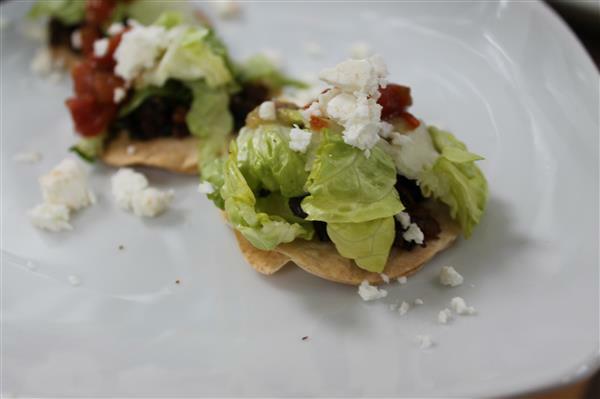 We went home that night and looked at the Thomasina cook book that I own and the next day we created Black Bean Toastadas, which tasted delicious. I’d say they tasted even better than at Wahaca! Cut small circles of tortilla wraps from the larger tortillas. Brush them in olive oil. Cook them in the oven for 10-15 minutes. Blitz half the beans with garlic, shallot, lime juice and a splash of olive oil. Heat a tbsp of olive oil in a pot. Add bean puree and rest of beans and cook on a low heat for 10 minutes. Season with salt, pepper and cumin. top with lettuce and feta.